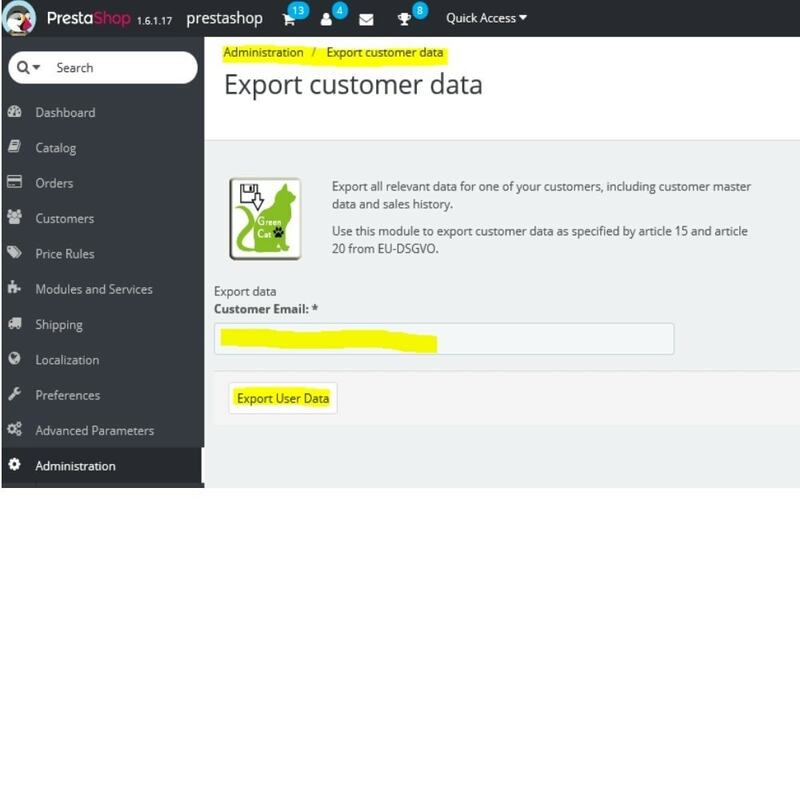 Using our module you can export customer data with order history. You will need this feature to meet the requirements of article 15 and 20 of the EU DSGVO. 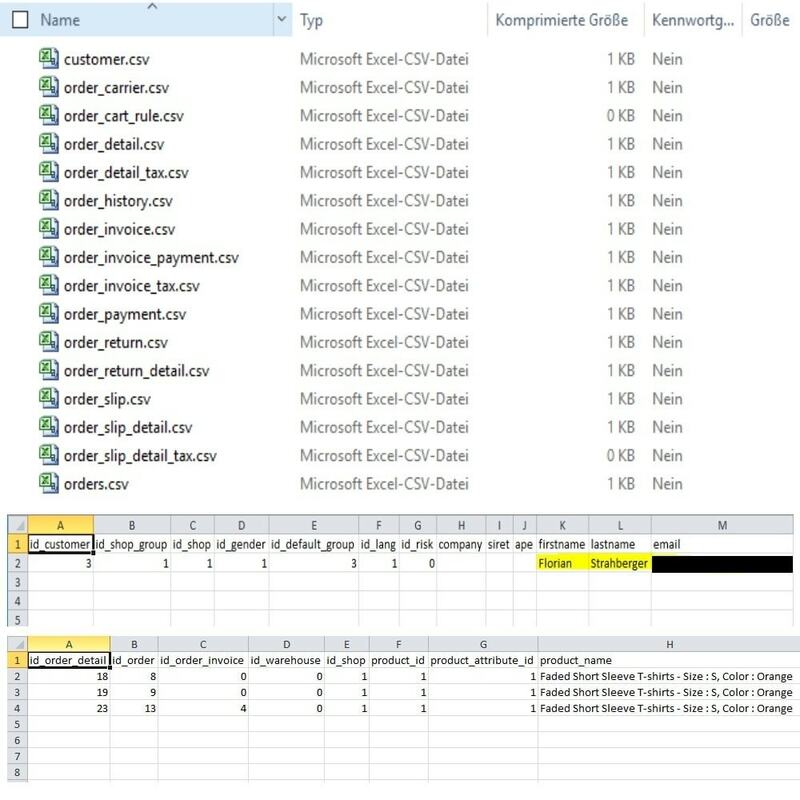 Export all relevant data with just one click as csv file. With out module you can Export the data of one customer including sales history, payments and returns. 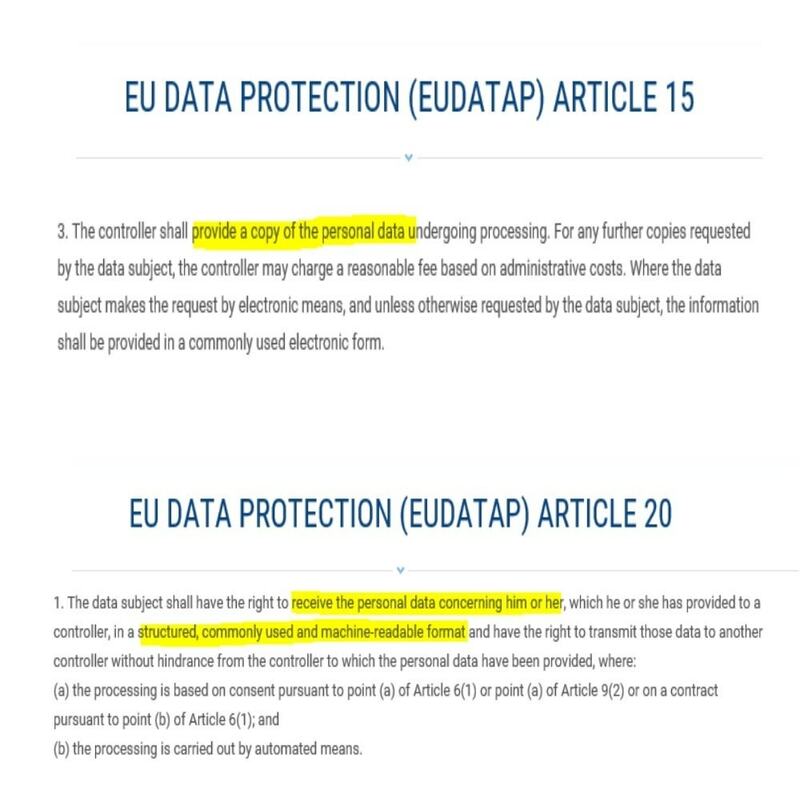 You will Need this Feature to meet the requirements of article 15 and 20 of the EU DGSVO. Using our module you will be able to Export the data for one customer in just on click. That will enable you as merchant to fullfil the requirements of article 15 and 20 of the EU DSGVO.